Who is the Share Registrar for Austin Engineering Limited? Austin Engineering’s share register is managed by Computershare Investor Services Pty Limited (Computershare). +61 3 9415 4000 if calling from overseas. What are ‘broker sponsored’ and ‘issuer sponsored’ holdings? You are ‘broker sponsored’ after you have entered into an agreement with a stockbroker and have been allocated a Holder Identification Number (HIN) beginning with an “X”. If your shares are held under a broker sponsored agreement you need to notify the broker of any change of name or address, not the company or our share registry, Computershare. Holding statements will be issued to you by the Australian Securities Exchange (ASX). Shareholders who do not have a broker agreement are automatically sponsored by the company and hold their shares in a dematerialised form. This is known as having an ‘Issuer Sponsored’ holding. Issuer Sponsored holdings are given a unique Securityholder Reference Number (SRN) starting with an “I” that relates to your specific holding in Austin Engineering Limited. Holding statements will be issued to you by Computershare on behalf of Austin Engineering Limited. If your shareholding begins with an “I”, you have a Security Reference Number (SRN), you can change your address online by going to www.investorcentre.com. You will need to have your SRN handy to login. In order to provide you with up to date news about Austin Engineering Limited, it is important that you inform us of any changes to your shareholding as soon practicable. Austin Engineering Limited encourages you to monitor and update your shareholding online through www.investorcentre.com. It is a fast, secure and convenient way for you to maintain your shareholding. 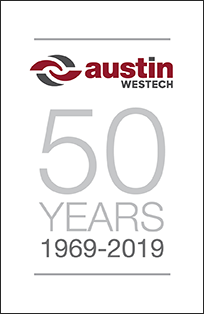 Write to the share registry (at the address below) including your full name, Security Holder Reference Number, previous address and current address, signed by all holders and indicate that the change of address relates to Austin Engineering Limited’s securities. You can download commonly used forms on Computershare Investor Services’ website under Printable Forms. You can change your name by completing a Change of Name Request. The change of name form can be downloaded from the Computershare Investor Services website. If you are a broker sponsored holder and have been allocated a Holder Identification Number (HIN) which begins with an “X” you should contact your broker to make this change. If your shareholding begins with an “I”, you have a Security Reference Number (SRN) and will need the SRN to complete the Change of Name Request form. This form is available to download here. If you do not have this information, please contact Computershare on 1300 850 505 (within Australia), or +61 3 9415 4000 (overseas). A certified copy of the birth certificate, marriage certificate, and passport or name change certificate must accompany the form. Note: Supporting document must show both names. A divorce certificate usually does not have maiden name, and therefore will be rejected. Austin Engineering Limited shareholders can access a number of services provided by Computershare online at www.investorcentre.com. The online service can be used to obtain information on your current holding and transaction history. You can also access and advise of changes to your holding such as Direct Credit banking instructions, change of address, notification of tax file number. If you are not able to access the information you require online, please contact Computershare on 1300 850 505 (within Australia), or +61 3 9415 4000 (overseas). Alternatively, you can advise Computershare Investor Services in writing, quoting your Security Holder Reference Number, name and indicate that the change relates to your Austin Engineering Limited securities. When will Austin Engineering’s results be announced to the market? Austin Engineering’s profit announcements will generally occur in late February (half-year) and late August (full-year) respectively. Can I transfer my Austin Engineering Limited securities to someone else? 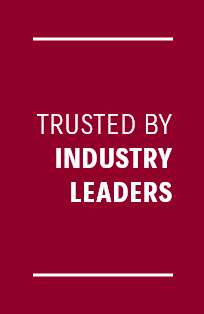 How do I contact Austin Engineering Investor Relations? Investor Relations can be contacted via email on: enquiry@austineng.com.au or through our contact page. All other inquiries, not related to Investor Relations, should be addressed to Austin Engineering’s Head Office on: +61 7 3271 2622.